Mesquite, Texas | October 22, 2010 | Lenner Ann McCurdy, a retired kindergarten teacher from Appleseed Academy, LLC, has been recognized by Elite American Educators for demonstrating dedication, leadership and excellence in early childhood education. A 50-year veteran of academia, Lenner Ann McCurdy specialized in teaching English as a second language. In 2008, she brought her talents to Appleseed Academy, a private Christian school and childcare center for students aged between 3 months and 12 years. As a kindergarten teacher, Ms. McCurdy taught a self-contained class of eight students, employing interactive techniques, computers, “Fact and Phonics” and textbooks by Scott Foresman and Addison Wesley. Widely traveled, Ms. McCurdy has visited various countries as a missionary for the Presbyterian Church. Through the People to People Citizens Ambassador Program’s Teachers Conference, she visited schools in China and South Africa. She also built houses in Guatemala and taught ESL classes. In recognition of her work in education, she was honored with an award by the Alaskan Presbyterian Bible School. Ms. McCurdy plans to write a book about her experiences as a traveling missionary. 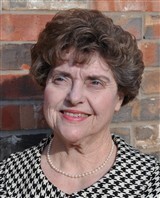 Ms. McCurdy received her master of education in elementary school administration and supervision in 1965 and her bachelor of arts in elementary education in 1959, both from the University of North Texas. A certified professional principal and supervisor, she holds certifications in provisional elementary education (K-8), early childhood special education, and English as a second language. She currently serves as president of the Mesquite chapter of the American Association of University Women and is a life member of the Texas State Teachers Association, the National Education Association and Presbyterian Women. She is also affiliated with the Beta Zeta chapter of Alpha Delta Kappa, which she previously served as president. Honors of which Ms. McCurdy is a recipient include a listing in Who’s Who among American Teachers and the International Directory of Distinguished Leadership. She was named an International Woman of the Year in 1992 and in 1968 was nominated for Outstanding Young Women in America. She attributes her success and longevity to her flexibility and love of education. She would like to thank her two sons, Thomas McCurdy III and Allen McCurdy as well as her daughter-in-law Angela for the support they have provided her over the years. Her grandchildren Brandon, Caudle, Ashley Penninger, Charles Thomas McCurdy IV and Channing Grace McCurdy and her great-grandchild Hayden are the lights of her life. Contact Lenner Ann McCurdy M.Ed.